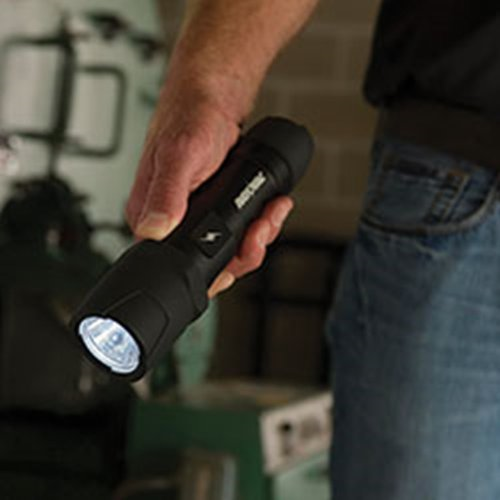 The Rayovac DIY2D-B is a virtually indestructible LED flashlight with high performance LEDs providing an up to 316 meters beam distance on high power mode or 100 meters in energy saving mode from 2 D Cell alkaline batteries (included). 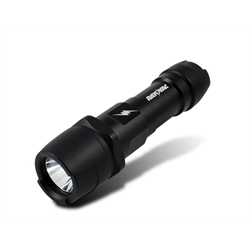 This light has durability you can count on with 20 foot drop test performance rating, impact resisting internal design, rubber head and tail cap shock absorbers, and aluminum alloy construction. This quality product is backed by Rayovac's lifetime guarantee.